It’s time to pick up the shepherd’s rod and stop excusing false teaching. Home › Uncategorized › It’s time to pick up the shepherd’s rod and stop excusing false teaching. A facelift by definition is a procedure whereby you make someone look more attractive. Sadly we live in a world today where there are people who continue to give their favourite false teachers a ‘facelift’ in order to make them seem more biblical. They make wicked excuses for them by claiming ‘truth’ is coming from the mouths of wolves when in reality all they are doing is making false teachers ‘more attractive’ – while remaining in deep deception themselves. We are grateful that Rev. Anthony Wade, himself a credentialed minister of the Gospel of Jesus Christ with the Assemblies of God, has biblically taken on the task of rebuking these false teachers and their enablers. In his latest article he addresses the important topic of ‘chastising those that would seek to protect them’. The imagery chosen by Jesus throughout the bible is not accidental. It conveys how God sees things into digestible portions for us to understand. One such image is that of the pastor as a shepherd. Those who labor in teaching and preaching are thought of by God in such terms. They are supposed to tend to the sheep. They are supposed to care about the sheep. They are supposed to love the sheep. 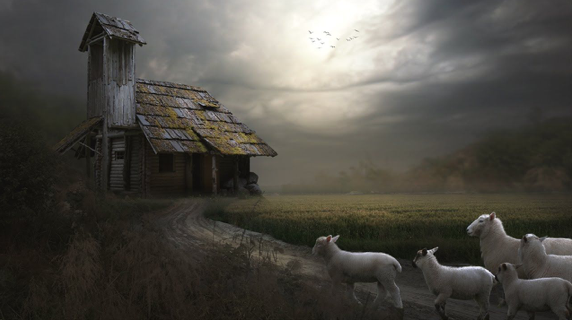 The shepherd has two instruments to assist him in his duties. The first is a crook or staff and this is used to direct the sheep in the correct, safe way to go and have none wander off. A teacher or preacher’s doctrine is their staff. It guides the sheep the right way to go — God’s way. That is why doctrine is so crucial. The second instrument is the shepherd’s rod and this is used to fend off attacks from the predators that would seek to harm the sheep. Wolves are the primary predators for sheep and using this imagery they attack sheep with contrary doctrine to lead them away from the under shepherd as well as the Great Shepherd, Jesus Christ. The rod is a blunt instrument beloved, designed to impart force upon any who would threaten the sheep. These two shepherd’s tools provide comfort to the sheep, as our key verses teach, because they provide guidance and protection. Unfortunately, many in the church prefer to protect the wolves and either beat the sheep or chastise those that would seek to protect them. The above linked article highlights one of these folks so let us reason again together. Bereans — Burton is right that as the end times deepen the need is greater for those who correctly divide the word of truth. This hit piece however is designed for one purpose and that is to silence discernment ministries. The people who operate such ministries are the Bereans John — not the false teachers you support by your mere presence on Charisma News, home of the Sneaky Squid Spirit and the Angels of Abundant Harvest. Assault — while I believe this is hyperbole, the reality is that false teachers deserve nothing but our derision. This is not a matter of theological disagreement John. If you are pre-trib I might feel you are mistaken but I would look forward to discussing it. It is not something worth dividing over. We are talking about FALSE teaching, which leads to a false gospel and a false christ — which of course leads to a false conversion. The bible actually commands you to rebuke false teachers as a minister! Credibility — again the issue is whether we are talking about disagreement or false teaching. You reside on a website that is a literal cesspool of false teaching and prophecy and you think you should be discussing credibility? If you are a wolf then you need to be treated as a wolf. The shepherd’s rod is not carried to pet the wolf John.